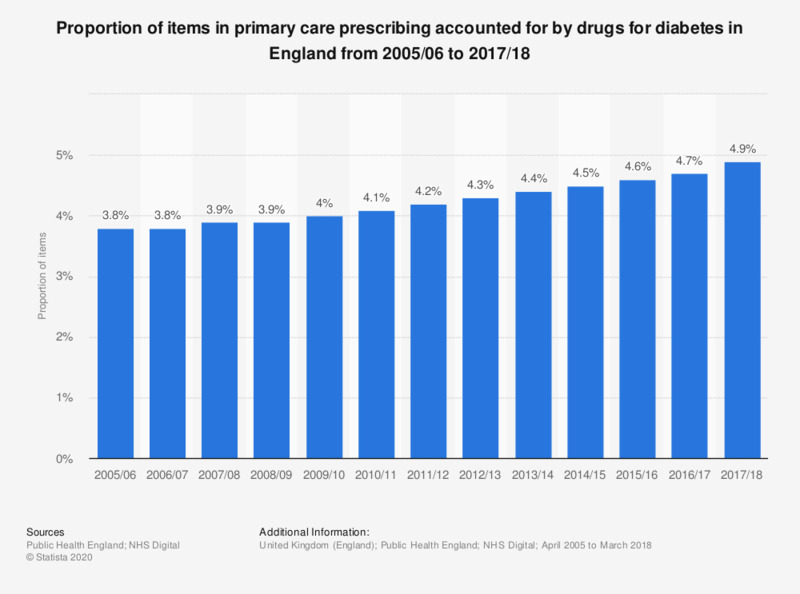 This statistic displays the proportion of items for primary care prescribing accounted for by drugs for diabetes in England from 2005/06 to 2017/18. In 2017/18, 4.9 percent of items for total primary care prescribing were accounted for by drugs for diabetes. In France, what do you think is the share of young people aged between 18 and 25 who use cannabis daily?